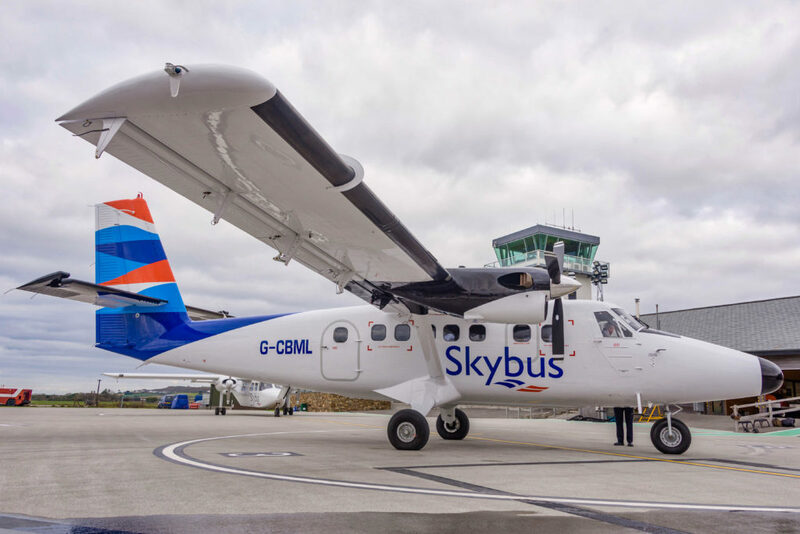 The Isles of Scilly Steamship Company is making a £530,000 investment in its Skybus fleet of aircraft to include new interiors, enhanced navigation systems and an eye-catching new livery. Six of the eight-strong fleet will be fitted with brand new interiors including all new trim, carpets and soundproofing in time for the start of the busy holiday season next Easter. Five of the fleet will be entirely repainted, which means stripping the aircraft back to bare metal, while all eight aircraft will be decorated with a new red, white and blue tailfin design. The upgrades are being carried out between now and next April. This is when the fleet normally undergoes annual maintenance, which takes around four weeks for each aircraft and is phased so there is no disruption to services. 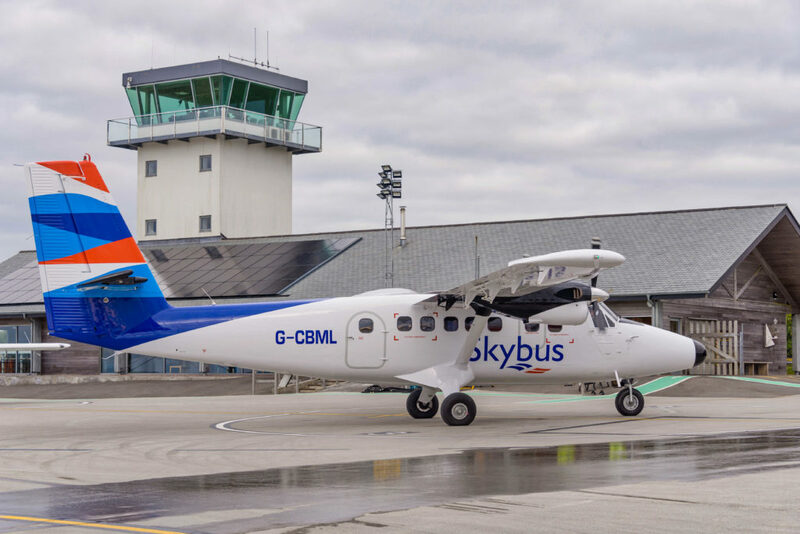 The Skybus fleet has also been fitted with new satellite landing technology called EGNOS which is like satnav for aircraft and will improve operational resilience during times of poor weather. Rob Goldsmith, chief executive of the Isles of Scilly Steamship Company, said: “This is a major investment by the company in improving passenger comfort and operational resilience. Over the last five years the Steamship Company has invested £12.5 million in strengthening transport links to the Isles of Scilly, including the acquisition of an eighth Skybus aircraft and most recently a new freight ship, the Mali Rose. 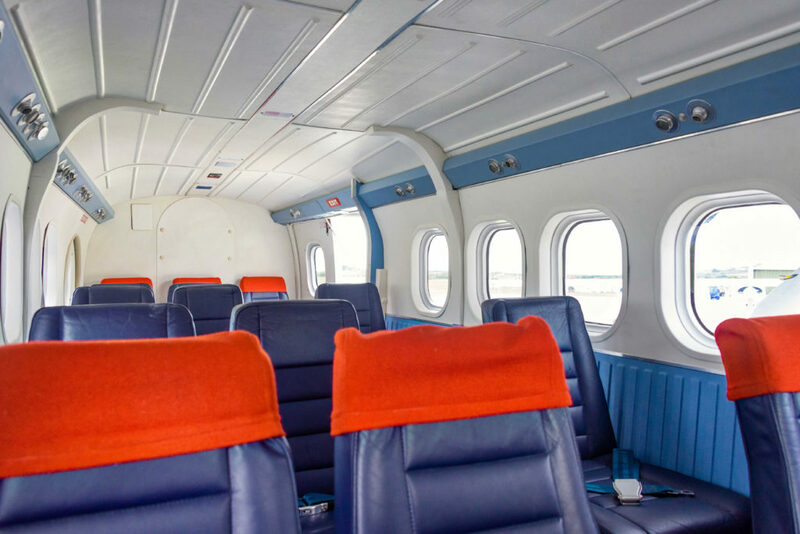 The Skybus fleet is made up of four 19-seater DHC-6 Twin Otter aircraft and four eight-seater BN2 Islander aircraft. 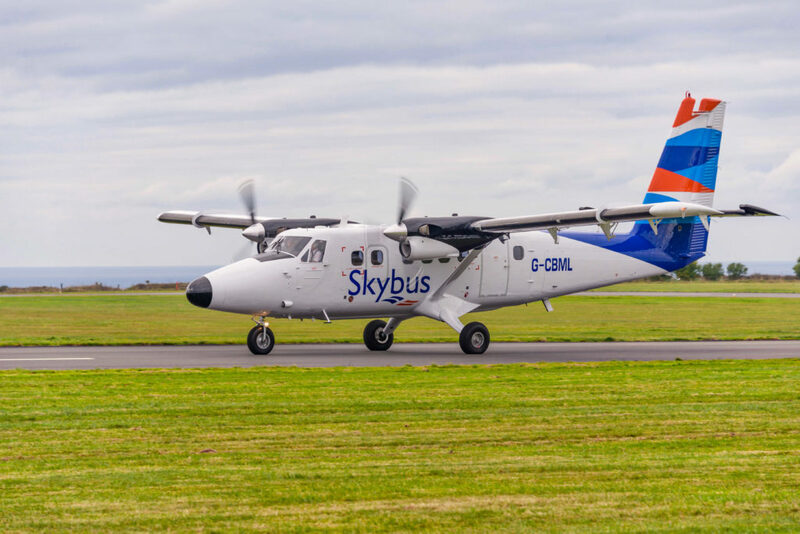 At busy times of the year Skybus operates more than 60 flights a day serving the Isles of Scilly from Land’s End, Newquay and Exeter Airports.